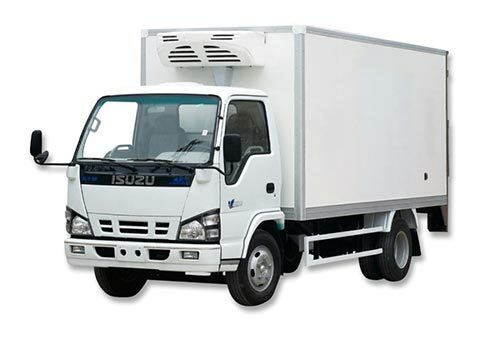 TR-450 Truck Freezer Unit is in split structure, driven by the vehicle engine; with front mount condenser and extra-flat evaporator. 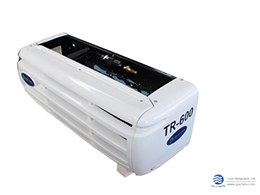 TR-450 freezer unit for truck is outstanding for its elegant outlook, world-glass design structure, moderate price and maximum cooling capacity, which is your best temperature control solutions for the medium-sized refrigerated trucks with container volume up to 18~25m³; it is perfect for 5.2m long truck body when to cool temperature at -18℃. 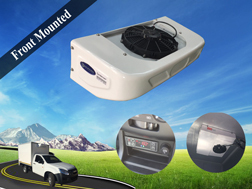 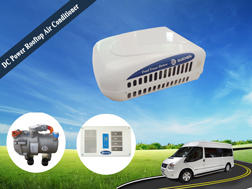 ● Hot-gas defrost system, Automatic / Manual defrost temperature control system. 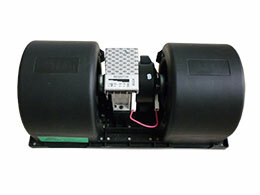 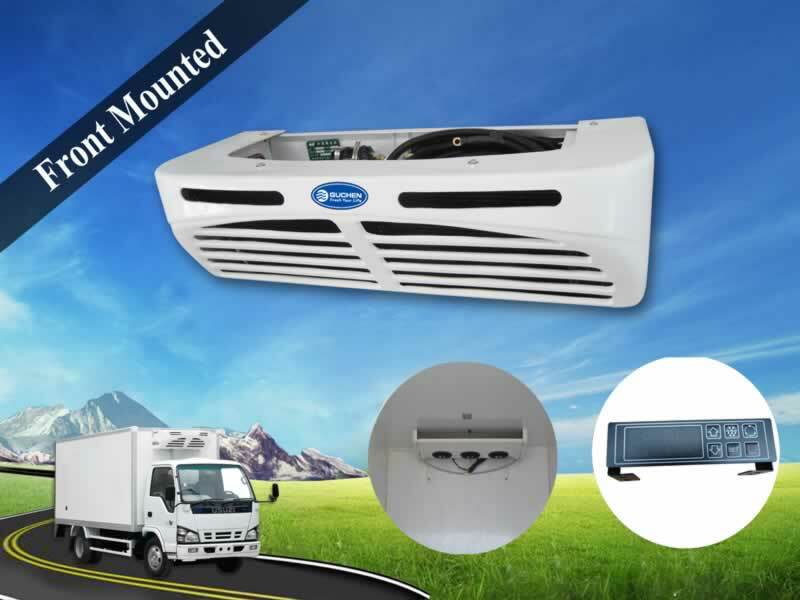 ● Easy to maintain, including the automatic detection system and dismantle structure. 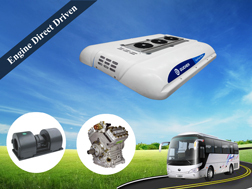 ● Worldwide top-brands keys parts ensuring the high quality. 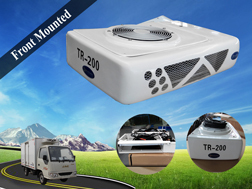 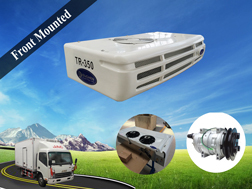 As a fresh / freezing refrigeration unit, TR-450 unit is with 2600W cooling capacity if the temperature setting is around -18℃, in this case, it is capable to cool truck box volume of 18m³ refrigerated trucks. 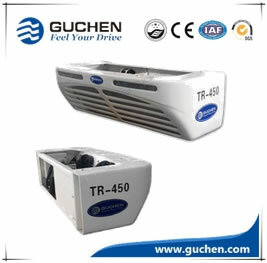 As a chiller refrigeration unit, TR-450 unit is with 4100W cooling capacity if the temperature setting is around 0℃, in this case it is capable to cool truck container volume of 25m³ refrigerated trucks. 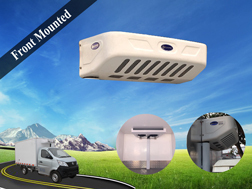 The best selling TR-450 truck freezer unit is extraordinary for it’s beautiful appearance, robust design, all round functions and sound spare parts family. 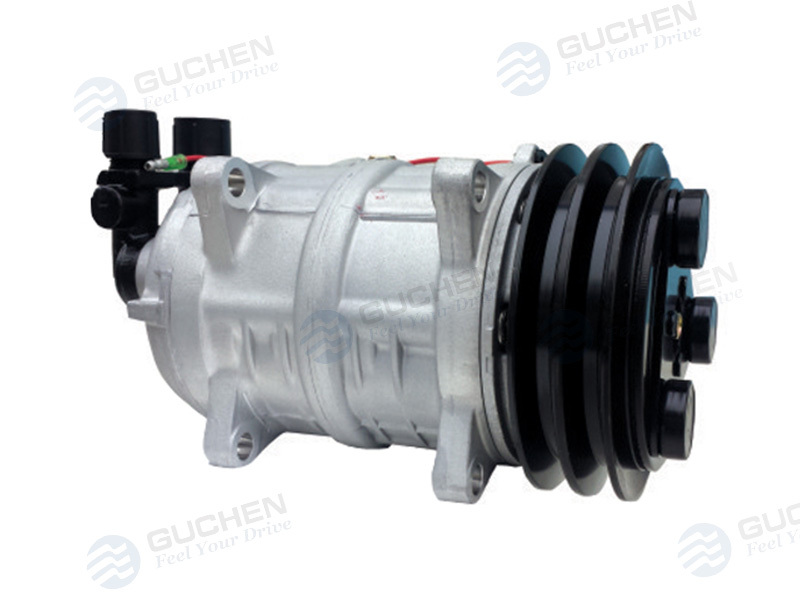 Guchen TR-450 Truck Freezer Unit key parts all purchased from the world-known platform: Danfoss, Spal fans, Castel, QP, Codan, Remy, Bock Compressor, Perkins... 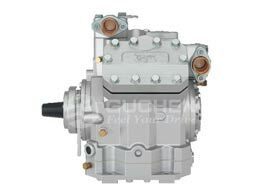 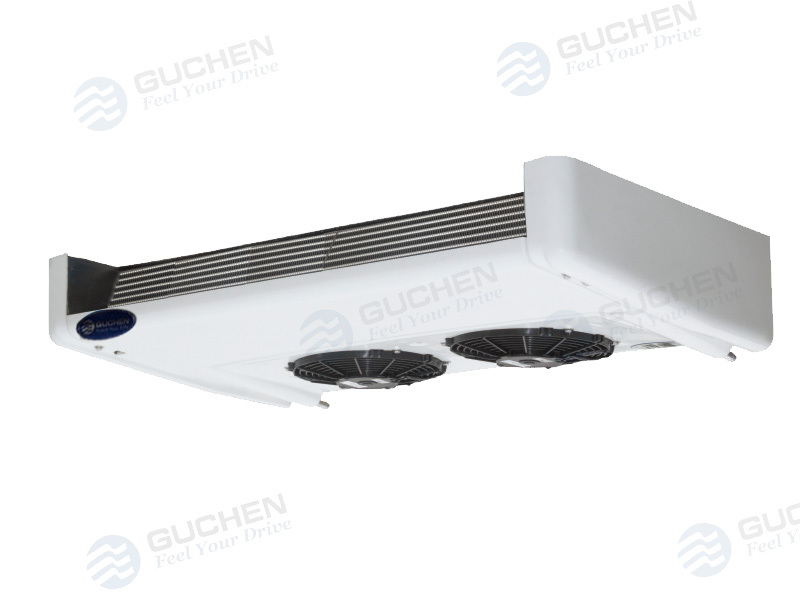 These configurations are one of the factors that facilitate the good fame and high quality of Guchen refrigeration units . 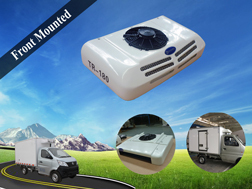 TR-450 truck freezer unit assembly is contained of the front mounted condenser, extra-flat evaporator, in-cab digital controller, vehicle engine driven QP16 compressor, hose pipes and wires, etc. 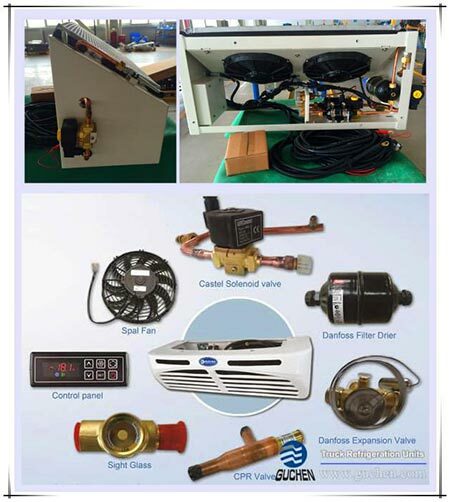 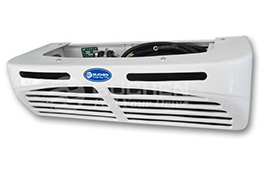 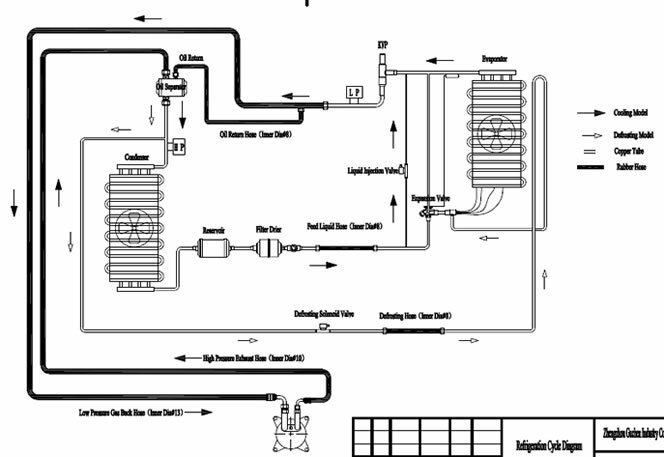 ● Heating function: Just need to add a solenoid valve in the condenser unit to change the cooling system into heating. 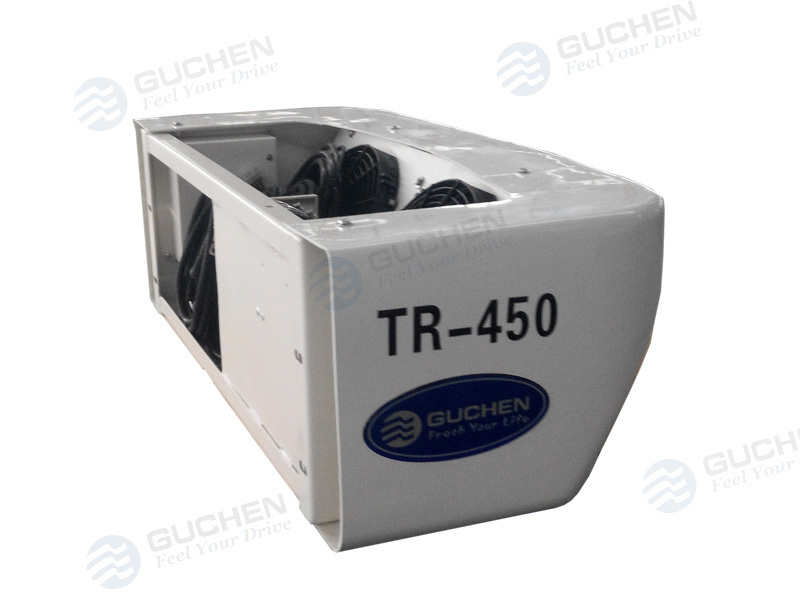 The standby of Guchen TR-450 is composed of QP16 compressor, electric motor, and the AC-DC power transformer and the wires.